Nowadays if you are computer illiterate you are completely loosing it in the technology world and i know many people who are highly influenced either in the academic sector or government parastatals but doesn't have a computer literate knowledge. Technology, precisely computer is taking over the world gradually and in the meantime computer will be everything to anyone and anything in this planet if care is not taking. Google as the best search engine not only gives you result to your querries but also decided to teach basic computer science and programming in other to build you self and have a good idea of where you are heading to in the tech industry. You can now learn basic computer education introduced by Google if you are beginner and also to participate in academic career opportunities for the gurus in the field. Don't you think this is a great effort despite the fact that there are many online website which you will learn computer and programming. 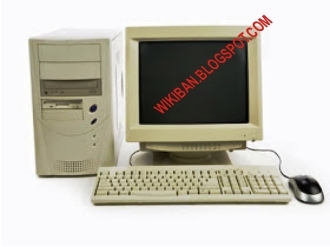 What you just need is an available internet connection and make your self a computer literate in a short while. Just go and select the students section to make yourself available at the computer school by Google. in the upcoming 10-20 years i know everybody will be computer literate and getting connected to each other will be just an easy task using the power of technology. Are you so curious to know who always is glued to your facebook profile? or suspecting someone spying on your timeline and personal information? this tutorial is for you as you can be able to know who view your profile most often. The method to know who visit your profile most is not provided by facebook or its associate as it is a backdoor method to know who always visits your profile. Facebook is the largest social media network now in the world and everyone has much friends in his profile so who you always expect turns out to be negative on the result. 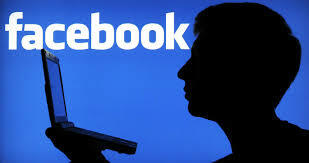 Lets get started on this to know who always visit your precious profile on facebook most often or who you are connected to always as he likes your post or comment on your topics. the first ID shows the one who visit your profile most often while the last ID never visits your profile. Bring yourself closer here along with your stubborn memory card that is making you headache due to formatting errors and viruses that is trying to kill your SD card. Even i myself sometimes i fear this nowadays viruses in peoples memory card, ranging from the one you know up to the one you can't be able to even detect. 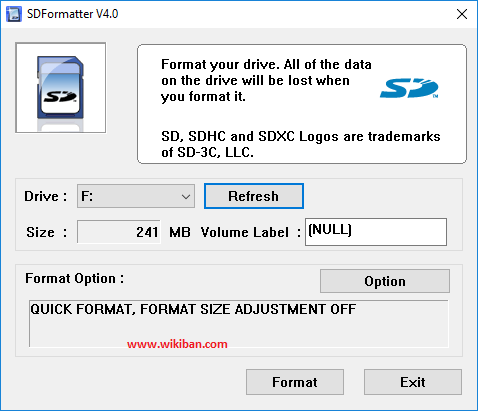 I'd like to introduce to you SD card Formatter 4.0 for SD/SDHC/SDXC provided by SD Association to format your memory card without having any further problem you may think of. For those that are aware of the software, am sure they can give a good testimony of it's work and how it format some troubling memory card by bringing live from death in memory card. The software is available for both windows and Mac which you can use to format your memory card easily with card reader. As you know some memory card are not actually good which doesn't store data for a long time without corrupting it and sometimes it even renders your smartphone into another problem you may no think of. Insert your memory card into the card reader before running the program, After that the program will automatically detect your memory card or if contrary click the refresh button there. Now go to options as you can see above to set your preferences for erasing your SD card. 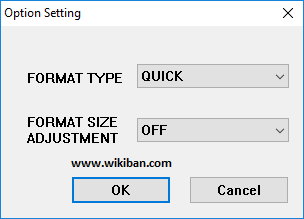 A small dialogue box will appear with two options, firstly the format type options which consist of Quick, Full (overwrite) and Full(erase). In that case i recommend you select Full(overwrite) as format type and ON as format size adjustment for proper execution of the job. Finally Click OK to save it and click format to begin the formatting process but another windows dialogue box will still appear to asking you for a confirmation because the process is irreversible and will delete all your memory card data, but you have to be patience because it might take a little while for the formatting process to finished. Well as you can see and as you are warn above to not remove the memory card until the formatting process completed. After the formatting process is done a similar dialogue box will appear as shown below. Now you have successfully format your memory card using SD formatter V4 which will wipe out all your data and make your SD card a clean new one to make a start again with it. If you encountered any problem in the process of doing so feel free to ask via the comment below. We always strive to give you quality contents and if you don't want to miss any of our latest updates, kindly click here to subscribe with your email address and don't forget to check your inbox for confirmation. Everyone knows the control panel has a lot of features and options but seems a lot more difficult for those that can't be able to explore through and configure what they need. With the Enabling of Expert Mode you can be able to view all your control panel settings in one folder grouped by application which will be simpler and easier for starters to modify their system settings. Users of windows 8.1 and windows 10 tend to find it difficult to look for a specific settings in their control panel after checking and re-checking but still can't be able to find what's required which as a result sometimes make someone to downgrade back to windows 7. I believe from now on after reading this guide you won't be able to even look back for your control panel, because all you need is stored in a one single folder on your desktop for easy access. As the name implies Expert Mode or sometimes being referred to as Master control panel which is a single folder on your desktop that contains your control panel settings split. with the above view you can see that the folder contains so many setting segregated into different categories, you can also search anything your need by using the search bar at the top right hand side of the Expert Mode folder. Don't worry about compatibility, because its comptabile with windows 7, 8, 8.1 and 10 respectively. Feel free to ask anything you don't understand. Despite the fact that Google is now the best in terms of both search engine and e-mailing services doesn't stop our dear naij.com to introduce the first and best Nigerian E-mail service. I know some are aware of the recent development but many don't know about the emergence of this newly Nigerian E-mail service. The naij.com interface was perfect and good and much more simpler that other e-mail services which is also a perfect way for starters to start sharing their ideas through one of the nigerian best news portal site. I know most of us use Google mail, yahoo mail, hotmail and other mail services but it is also good to patronize our home made e-mail services. As you can see i have already start using the naij.com mail services both for personal and my blog address. The mail can be access on your mobile devices, smartphone, and/or Tablet PC for convenient anywhere. You can also get free 2GB mailbox size for starting point subject to unlimited increment for active use of the service. and create new account with them..
you can also contact us via wikiban@naij.com for support and other inquiries relating to your mailbox problems. so far how can you rate this development.. There is no doubt that Avast is playing the crucial role of one of the best Anti-Virus programs in circulation because of the authentic security that the anti-virus provides to its users. Mostly 90% of PC's and Desktop's are currently running the best anti-virus programs which necessitate me to share this new and latest 2016 version of the software. The latest version of the Avast has been updated with the great thread detecting system capable of detecting any kind of malware, virus, worms, adware and threads. Many key features were added and improved among which includes, passwords, safezone browser and so much more. The user interface has been improve for more user engagement and content fitness, so also the Avast Home Network Security now scans more vulnerabilities on your router, public and home networks respectively. Activation using license key is an offline activation where you will insert the license key provided by Avast to enable you enjoy the service for 1 year. 2. Open your avast! Free Antivirus controls and select the "Settings" tab. 7. Click "OK" – your license key is now inserted and your avast! antivirus software can now be used free of charge for a further 12 months. Microsoft just release .net framework 4.6.1 offline installer to enable you install it on your pc without internet connection. I can remember when windows 8 was roll out it was a busy and tough work for me to install the microsoft .net framework 4.5 because of poor internet connection which always keep failing me. You can copy the offline installer and install it on multiple PCs without having to connect the device to internet. Nowadays the rate of viruses on computer system is getting high as many viruses or otherwise errors are coming into existence which we never observe before. 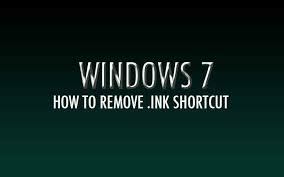 Lets take a look on this stubborn .ink shortcut which is now rampant in many system but some other people don't know how to remove it or some don't even know the effect. .ink shortcut virus is an error in windows operating system which as a result of missing software and file association are the most common causes of the error which can consequently result your Pc in affecting its performance, starting and shutting down problems, installation errors as well as crashes and duplication of files and folders within the affected system. There are many software's available online for helping you get rid of the virus/error for proper and effective performance but if you cannot be able to get a hold of any, then i think this tutorial is yours because we just want know how we can solve the problem without involving any third party application to do the job because sometimes when your trying to install an application that will remove the virus, then the application will got corrupted on the spot. As you all know lovely viewers some desktop computer are really slow which can make you feel nervous at a time whereby you want to use it but the processing systems is not good at all making you shut down your intended operation. 2. Remove Crappy Software's : Uninstall crappy software like toolbars and others which you don't use. It might seem impossible to get rid of all your beloved programs at first,but do it anyway. are out of the question but you can always upgrade your computer's RAM. While it may be difficult to find the right version of RAM for your computer,you can always look up on classified ads sites and online shopping websites. If lucky,you might get it there. 5. 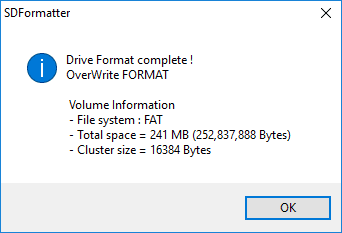 Run Disk Defragmenter : When used for a long time,the files in your computer gets fragmented. In simple words,it gets difficult for your computer to search for the required files and thus making your computer running very slow. Now Go to - Start >Accessories >System Tools > Disk Defragmenter. 6. Adjust For Best Performance : When using an old computer,its better to keep away from the fancy transitions and other stuff. 8. Clean your CPU : Open your CPU's cabinet and grab a vacuum cleaner and start blowing on the motherboard. Dust the cobwebs and clean the cabinet completely. 9. Install a New Operating System OS : Most probably you are running Windows OS in your old computer. While its not bad but there are other OS which can run faster on your old computer and one such OS is Puppy Linux.